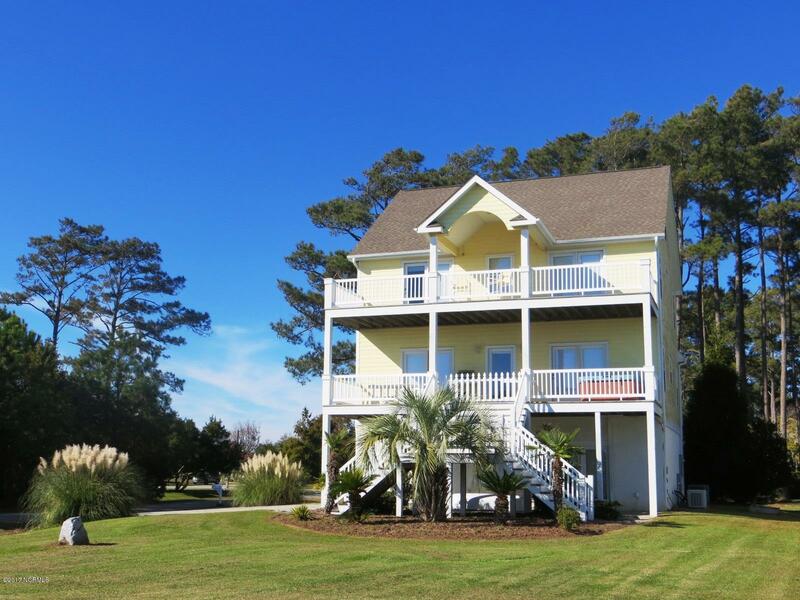 Marina Front home with fantastic water views of the Intracoastal Waterway and the Newport River! Double porches face the Morehead Beaufort Yacht Club which offers 73 deep water slips for sale/lease. The open floor plan features an expansive living/dining/kitchen that flows onto a full width covered porch overlooking the marina. The kitchen has a large pantry, bar, beautiful cabinets and loads of counter space with solid surface counter tops. The main level also features hardwood floors, tile in the kitchen, plus a den/office and full bath. The master suite and a guest bedroom both open to the upper deck for sunning, morning coffee, happy hour and lovely sunsets. The home plans include an elevator shaft location, for future/optional conversion. Morehead Beaufort Yacht Club is located within the strong boating community of Deerfield Shores subdivision. Memberships to Morehead Beaufort Yacht Club are available (optional) and include use of the swimming pool, clubhouse, bathhouse, boat ramp and more. The boat ramp separately is 50/year.